Mention ‘Toledo, Spain’ to anyone you know and you might get a response. Mention ‘Castilla-La Mancha‘ and chances are, you’ll receive a blank look and a shrug of the shoulders. At least, that was my response when I first saw the name. Hehe! I’d been to Toledo before; an unforgettable road trip from Barcelona to Madrid during which I stopped for two nights in Toledo. Little did I know then but Toledo is located in the region of Castilla-La Mancha. When the opportunity arose to visit Castilla-La Mancha, the first thing I did was look it up on a map. I quickly discovered that Castilla-La Mancha is a large region in central Spain. Due to its proximity to Madrid, the region is easy to access with most parts within a two-hour drive from the capital of Spain. I spent several days exploring Castilla-La Mancha, specifically the western part situated directly south of Madrid, and discovered a region bursting with history: from Toledo (a UNESCO World Heritage town) to Almagro (the town of theatres); amazing food and wines; lush nature and gentle landscapes; and I also learned more about Don Quixote, the famous novels written by Cervantes (who was incidentally a good friend of Shakespeare) which was inspired by the region. Check out my video below of my impressions of Castilla-La Mancha. Castilla-La Mancha almost completely surrounds Madrid, making it easy to visit from the Spanish capital and its international airport. 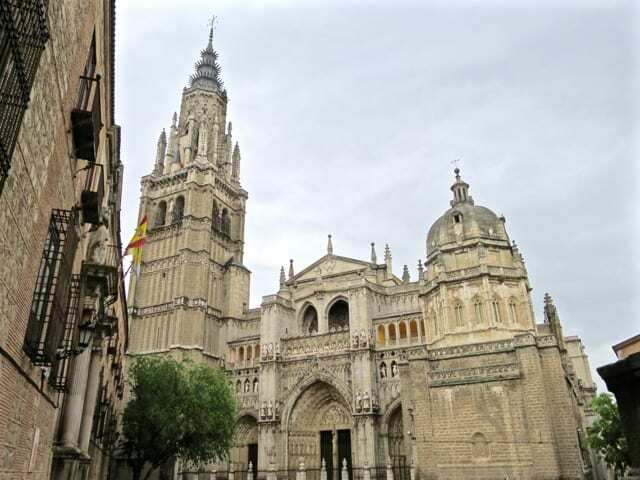 In addition, a high-speed rail service whisks visitors from Madrid to Toledo in about 30 minutes! An excellent road network also makes Castilla-La Mancha very accessible from Madrid. In this sense, I recommend hiring a car to explore the region at your own leisure. Arguably the most famous town in Castilla-La Mancha, Toledo is a UNESCO World Heritage town that can trace its roots back to Roman times. 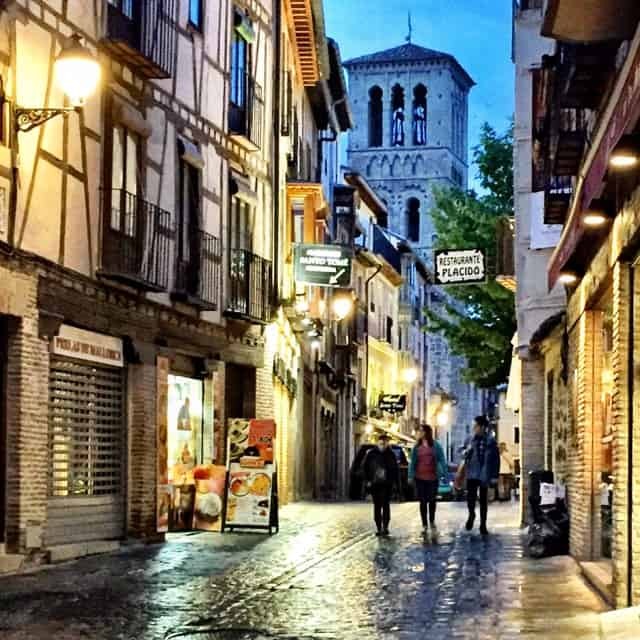 An evening stroll in Toledo is an enchanting experience. Many visitors to Toledo are day-trippers from Madrid and that’s a pity as you can easily spend a few days wandering the town’s maze of cobblestone alleys, enjoy its gastronomic delights (Toledo is Spain’s Capital of Gastronomy in 2016), learn more about its colourful history (where Muslims, Christians and Jews co-existed for many centuries), discover its artistic traditions and marvel at its monuments, the most prominent of which is the breathtaking Cathedral. Castilla-La Mancha teems with history and culture, shaped by the various powers which ruled this region since Roman times. 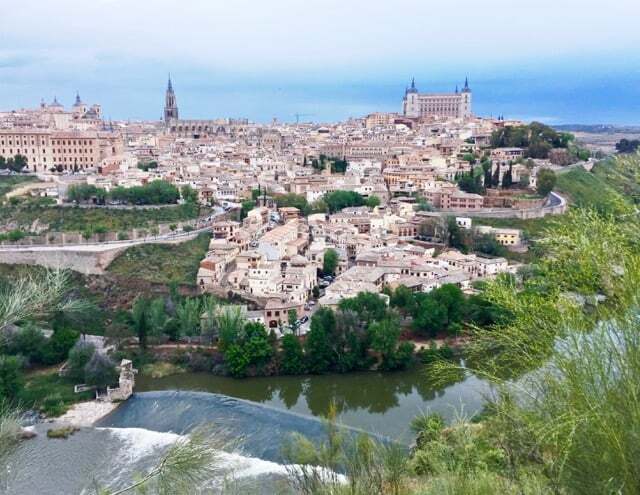 A stroll around Toledo will quickly reveal the legacy of these powers throughout the centuries. 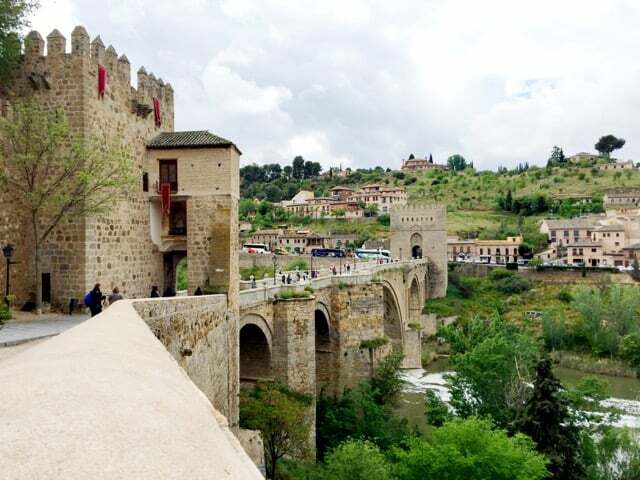 “Successively a Roman municipium, the capital of the Visigothic Kingdom, a fortress of the Emirate of Cordoba, an outpost of the Christian kingdoms fighting the Moors and, in the 16th century, the temporary seat of supreme power under Charles V, Toledo is the repository of more than 2,000 years of history. Its masterpieces are the product of heterogeneous civilizations in an environment where the existence of three major religions – Judaism, Christianity and Islam – was a major factor.” source – UNESCO. The Puente de San Martin bridge crosses the Tagus river in Toledo. This mix of influences and a unique example of how the various cultures cooperated is perhaps most striking in the Santa Maria la Blanca Synagogue. 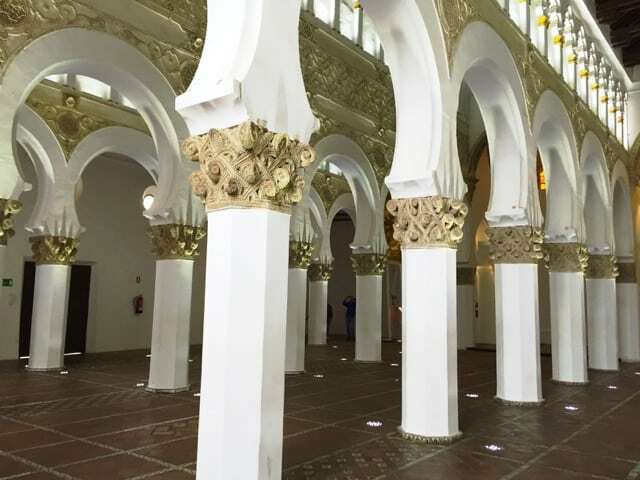 Constructed in the Mudéjar style (a blend of Moorish/Arabian and Gothic styles), the synagogue was built under the Christian Kingdom of Castile in the 12th century by Islamic architects for Jewish use! Mudéjar architecture in the Santa Maria La Blanca synagogue. 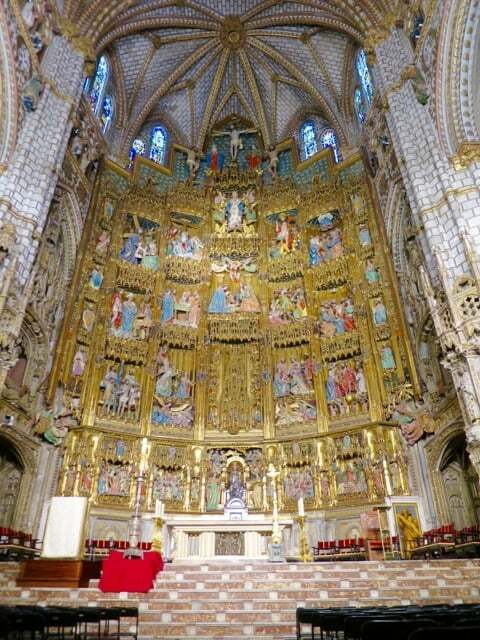 A visit to the 13th century Toledo Cathedral is a must. If you love art history, you’ll be spoiled silly! The Cathedral is one of the most important Gothic structures in Europe and houses a spectacular baroque high altar, the famous El Transparante altar and paintings by El Greco. 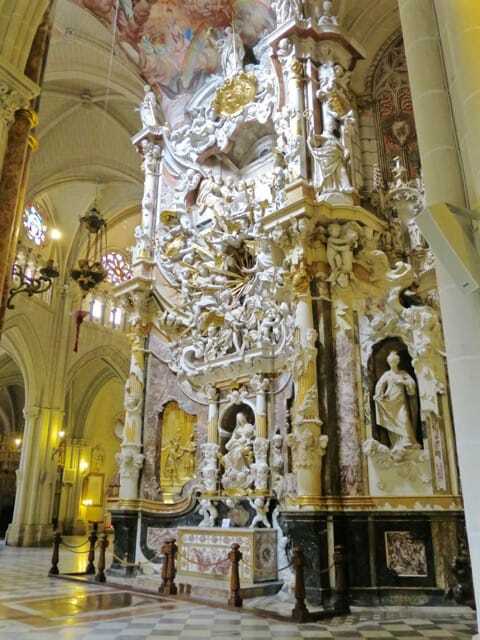 The impressive Baroque high altar in the Toledo Cathedral. The frescoes in the Sacristy. There’s a good selection of hotels in Toledo (Booking.com). I stayed at the gorgeous Hotel Palacio Eugenia de Montijo in the historic centre and a five-minute walk away from the Cathedral. Read about things to do in Toledo. Almagro, famous as the town of theatres and its annual International Festival of Classical Theatre. 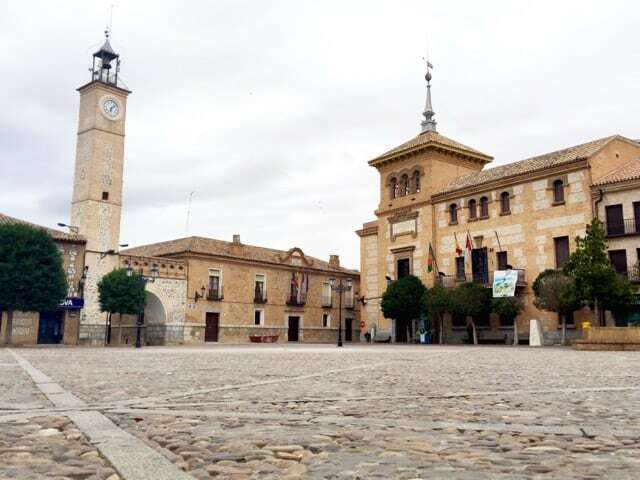 The town’s main square, Plaza Mayor, is a beautiful square surrounded by porticoes and green, wooden balconies. 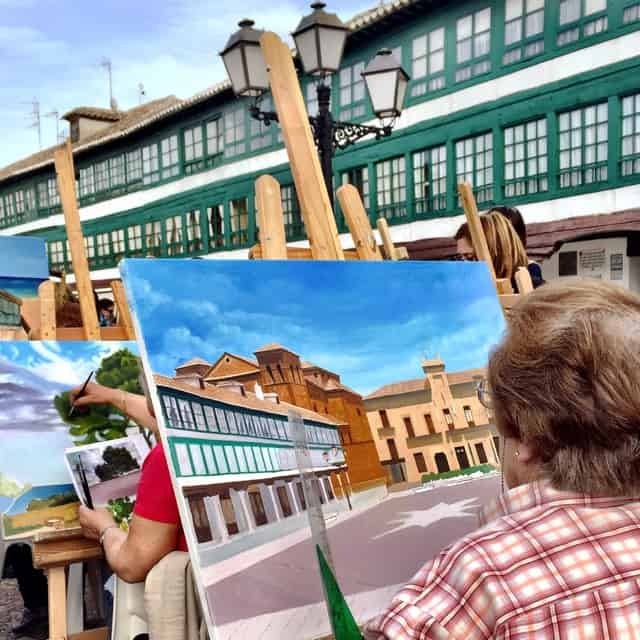 Artists at work on the Plaza Mayor in Almagro. 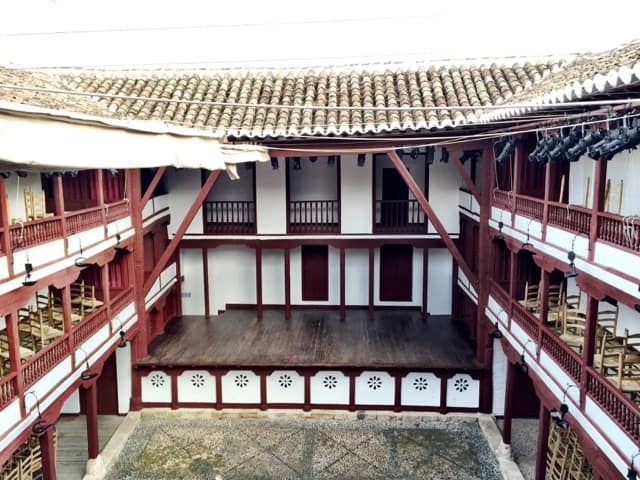 The historic open-air theatre in Almagro, right next to the Plaza Mayor. This is one of the venues of the International Festival of Classical Theatre where groups from around the world, including The Globe in London, perform. 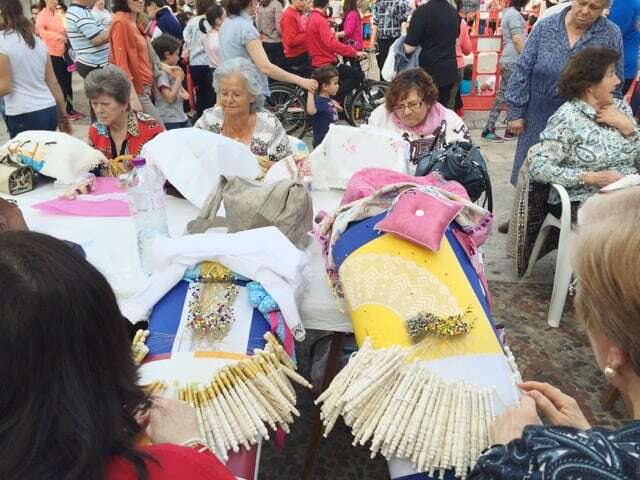 Aside from its theatrical tradition, the town is also famous for its crafts, particularly lace, and other historic buildings including the palaces in the Aristocratic District and the Convent of San Francisco (which is now a luxury Parador de Turismo hotel). A great place to stay in Almagro is the La Casa del Rector, a gorgeous boutique hotel located in a traditional La Mancha house and a modern annex. Consuegra is a historic town located at the foot of the Cerro Calderico mountains. Standing high above the town is the impressive 12th century castle. The mountain ridge is lined by twelve windmills of Consuegra which were prominently featured in Don Quixote as the ‘giants’. From here, you’ll have beautiful views of the surrounding plains and the town below. Consuegra is also known as the source of saffron of the highest quality. Drop by the La Antigua café at the town’s Plaza Mayor to mingle with the locals and a taste of delicious saffron-infused gin and tonic! The famous windmills of Consuegra. The Plaza Mayor in Consuegra. Cuenca, another UNESCO World Heritage town in Castilla-La Mancha, is a historic walled city first built by the Moors in the 8th century before falling into Castillian (Christian) hands in the 12th century. The town is famous for its location overlooking two gorges. The Cathedral and the town’s Hanging Houses are the principle attractions. Search for hotels in Cuenca (Booking.com). The Hanging Houses of Cuenca (image courtesy of Spain.info). There are many fine-dining opportunities in Castilla-La Mancha and the thing that made me gasp time and time again, aside from the excellent food and wines, was just how moderately-priced the menus are. 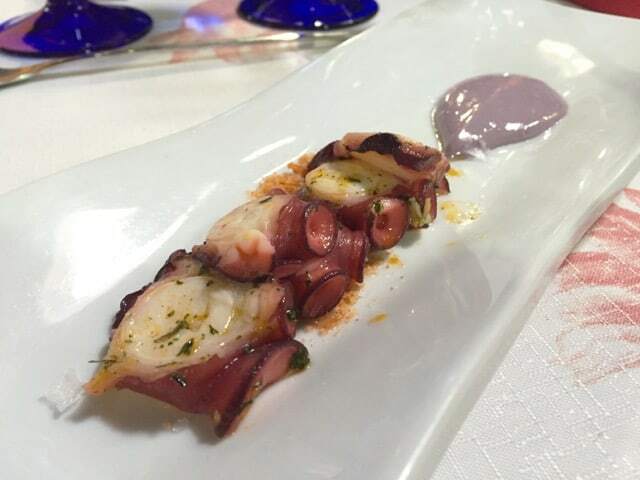 I had an exquisite 7-course meal at El Carmen de Montesión, a one-star Michelin restaurant just outside Toledo. 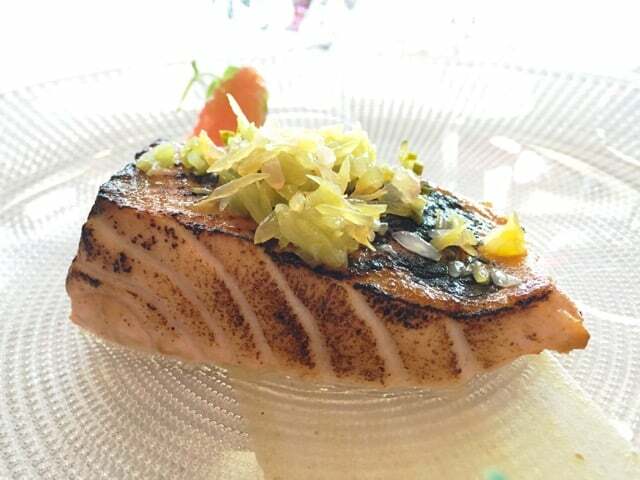 They have menus starting from €27.50 (this includes local wines and mineral water)! Gorgeous food at El Carmen de Montesón. In Toledo’s old town, I had a fabulous dinner at Locum, a beautiful restaurant located in a historic building. The terrific 8-course tasting menu cost just over €40! 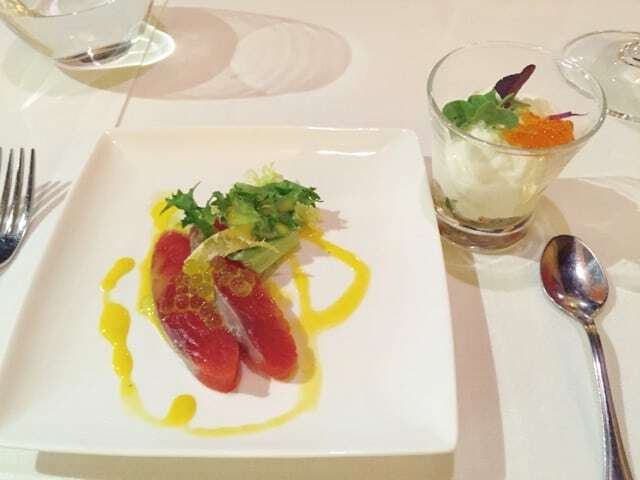 Tuna with a saffron sauce and olive oil caviar (spherified extra virgin olive oil, made to resemble fish eggs!). My favourite gastronomic experience was at El Bodegón in the town of Daimiel. 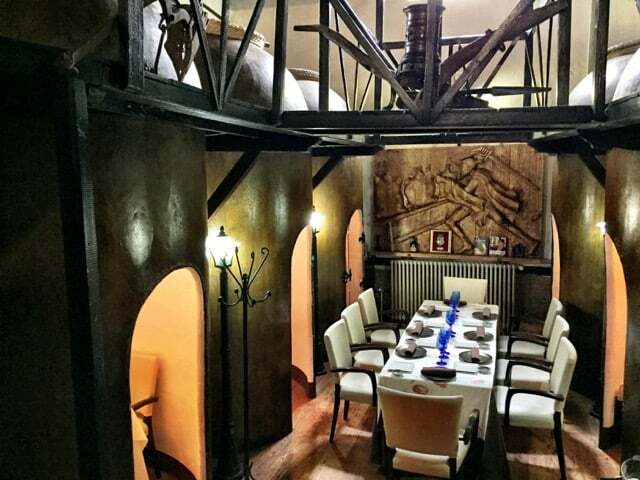 This gorgeous restaurant features intimate tables for two in gigantic amphoras! The restaurant also boasts an incredible subterranean cave cellar (ask if you can visit the cellar as it’s quite amazing). And the food is truly top-notch! 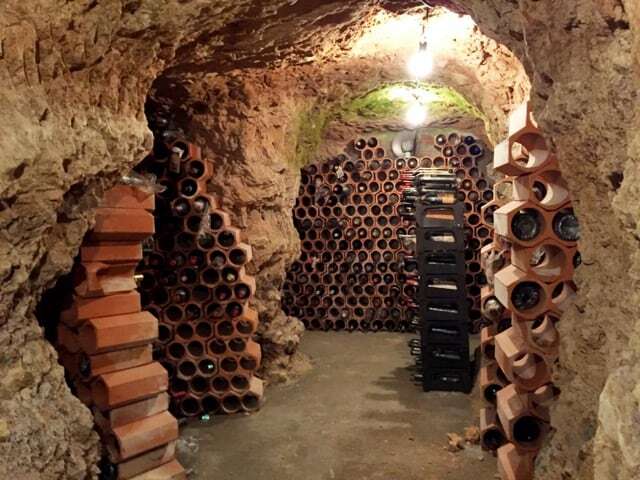 The subterranean cellar is a series of tunnels and caves. Excellent cuisine at El Bodegón. Castilla-La Mancha has several national parks and nature reserves which are popular with bird-watchers and hikers. Cabañeros National Park is the largest park in the western edges of the region and encompasses mountains, lush meadows and thick forests. I visited the Tablas de Daimiel National Park (near the town of Daimiel, so you know where you should go to after a visit to this park! 😉 ) which is located at the confluence of two rivers. The wetlands are home to a great variety of birds and it’s a soothing experience to stroll along the paths and boardwalks and listen to the birds in Spain’s smallest national park. 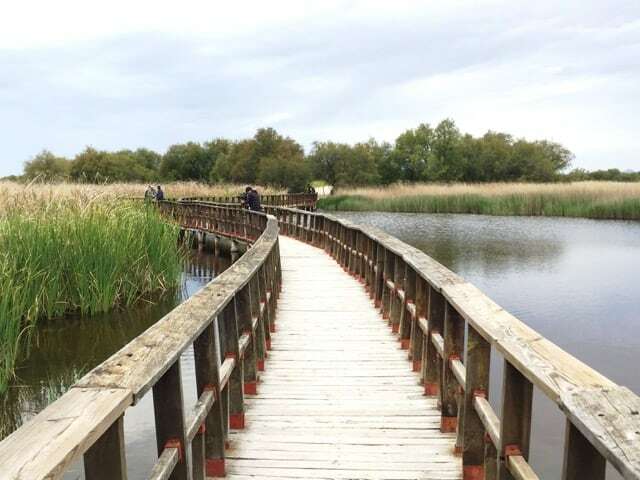 Boardwalks take visitors around the wetlands at the Tablas de Daimiel National Park. 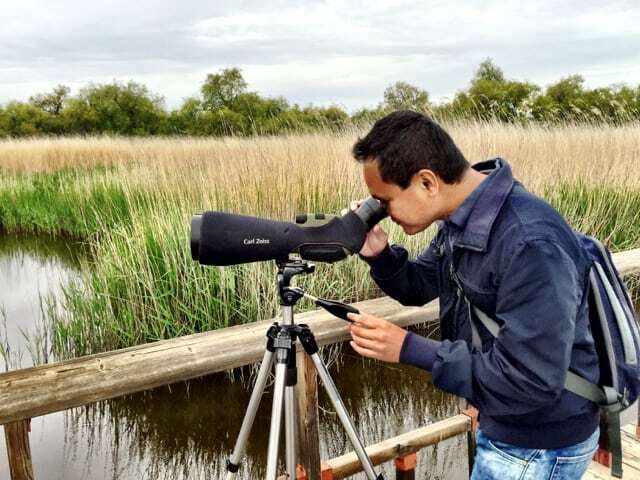 Me bird-watching at the Tablas de Daimiel park. 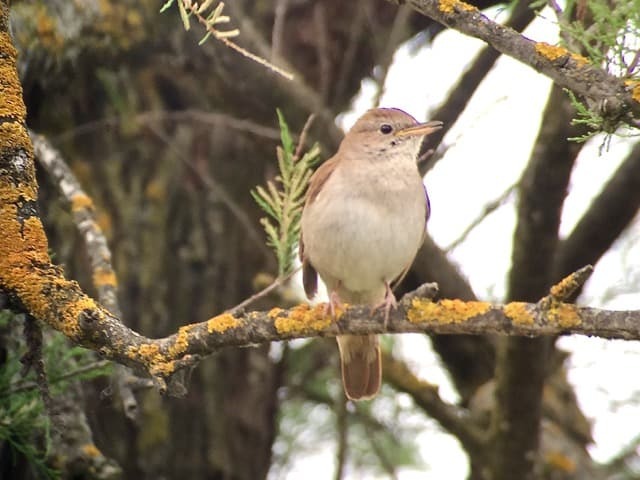 Nightingales entertained us with their song as we strolled around the Tablas de Daimiel National Park. I had a great time in Castilla-La Mancha! 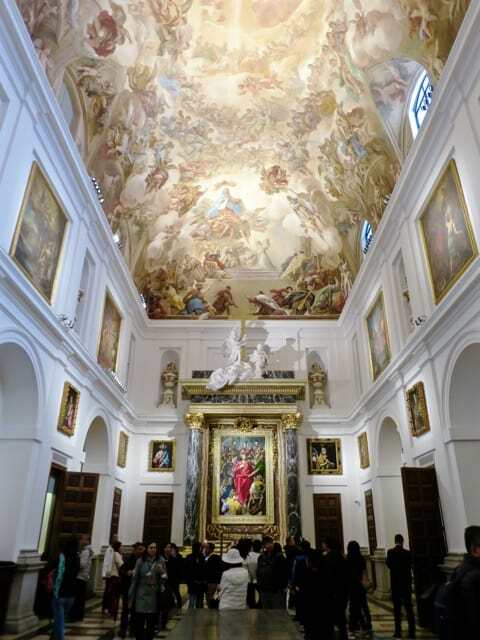 The great variety of attractions was a very pleasant surprise and if you’re thinking of a less-popular region in Spain to visit, consider Castilla-La Mancha. You might be surprised too! 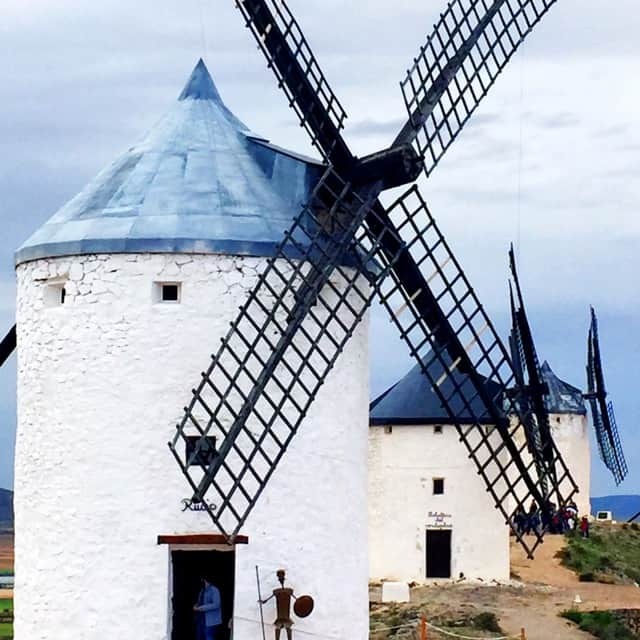 Note: my trip to Castilla-La Mancha was part of the #inLaMancha blogger project, a collaboration between iambassador and the Spain National Tourist Board. As always, all views expressed above are mine, and mine only.